Yesterday I experienced an immersive event that reinforces the idea I had when I founded El Loco four years ago. In a room full of tech entrepreneurs, coders, and diplomats at the launch of Open Austria — the first Austrian consul at the Galvanize coworking space in downtown San Francisco this morning — I realized how powerful it is to be able to conduct business in more than one language. Over 100 people were conversing fluently in English and German, switching back and forth like ping pong balls as they connected with one another over a breakfast of apple strudel, almond pastries topped with whipped cream, and fresh fruit. They acted as if the language barrier didn’t exist, and it took the m.c. more than several tries before he was able to quiet the room for a presentation by dignitaries from Austria, a country with a population of only 8 million. What if every event — not only live but also virtual — could eliminate the language barrier? I suggest we start with apps, which people use as much as they connect with live people. 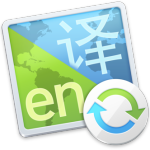 Instead of years of language instruction, one would only need a platform to localize apps into any language spoken on earth. That’s the epiphany driving El Loco’s offerings, which provide free localization for iOS apps into any two languages. More languages lead to a greater market, and more people using your app drives revenues. Globalization of apps is now possible, and it’s about time that all iOS app developers take advantage of this offering.